Let's face it my world revolves around coffee. It's mine, and millions of others, drug of choice. Have a bad day? Make it better with coffee. Have a good day? Celebrate with coffee. It's a catalyst for life. For that reason, I've recently been obsessed with coffee bars. 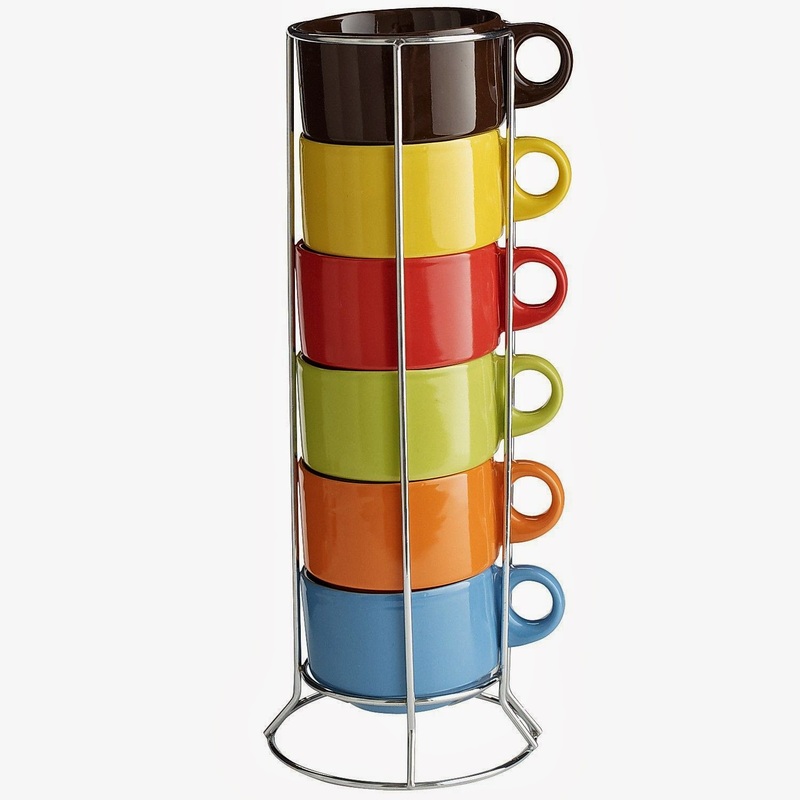 I love that you can make coffee a central part of your home. 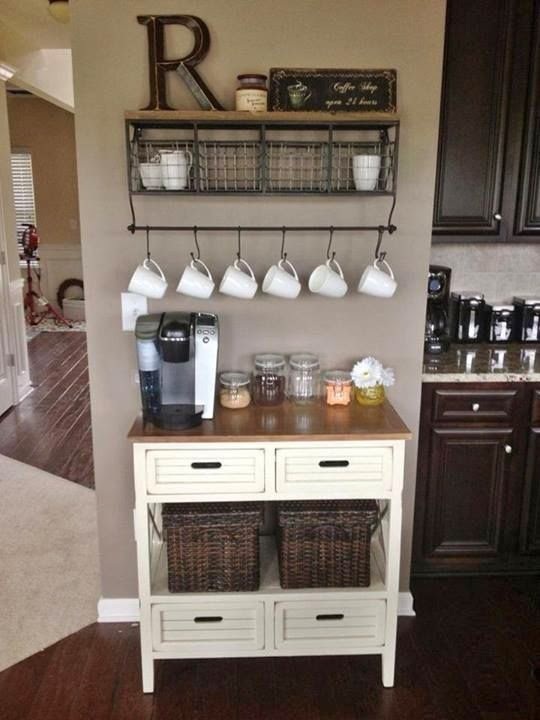 Adding a coffee bar is simple and can minimize the clutter in your kitchen. Here are a few essentials to help you create your own brew station with minimal impact on your wallet. Here's one of my favorites via pinterest. A small kitchen island, bookcase, dresser, or table: This is a great opportunity to go thrifting. You can also find some great options at overstock stores such as Home Goods and Marshalls. Hooks: Overstock stores have great shelf/hook combos like the one above, or you can just get plain hooks from Home Depot. Just make sure they can hold the weight of your mugs. Containers: Try Dollar Tree for some cheap options. Love it,,,,,,makes me want to go set up a coffee bar!!! Toddler Fashion: Precious or Provocative?